Kentucky Propane And Fuel Dealers Insurance. 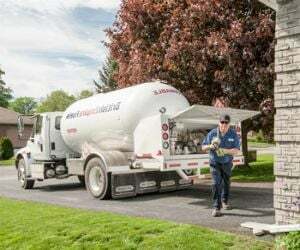 If you supply and deliver propane or other types of fuel to homeowners and business owners, you are doing more than just supplying your customers with the fuel that the need to power their properties; you are also making sure that they have they have something that they need to remain comfortable and function properly. Your company serves a vital role in the role of owning a home or a business. Given the risks that are associated with operating a propane or fuel dealership, it is vital that you protect yourself, your clients, and yourself from any perils that may arise. The best way to do that is with the right Kentucky propane and fuel dealers insurance coverage. Kentucky propane and fuel dealers insurance protects your business from lawsuits with rates as low as $57/mo. Get a fast quote and your certificate of insurance now. What Type Of Insurance Coverage Should KY Fuel Dealers Have? Business Auto: If you are in the propane or fuel supply business, you rely on your vehicles to make deliveries to your clients. What happens if an accident involving one of your vehicles happens and someone is injured, property is damaged, or your truck is totaled? A KY commercial auto insurance will provide coverage for any mishaps that may occur with your company vehicles so that you don't have to pay damage, repair, or replacement costs out of your own pocket. What Is The Cost Of KY Fuel Delivery Insurance? 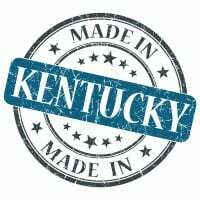 Request a free Kentucky Propane And Fuel Dealers Insurance quote in Alexandria, Ashland, Barbourville, Bardstown, Beaver Dam, Bellevue, Benton, Berea, Bowling Green, Brandenburg, Cadiz, Calvert, Campbellsville, Carrollton, Central, Cold Spring, Columbia, Corbin, Covington, Crescent Springs, Crestview Hills, Crestwood, Crittenden, Cynthiana, Danville, Dawson Springs, Dayton, Douglass Hills, Eddyville, Edgewood, Elizabethtown, Elsmere, Eminence, Erlanger, Flatwoods, Flemingsburg, Florence, Fort Mitchell, Fort Thomas, Fort Wright, Frankfort, Franklin, Georgetown, Glasgow, Graymoor-Devondale, Grayson, Greenville, Harrodsburg, Hartford, Hazard, Henderson, Highland Heights, Hillview, Hodgenville, Hopkinsville, Hurstbourne, Independence, Indian Hills, Irvine, Jeffersontown, La Grange, Lakeside Park, Lancaster, Lawrenceburg, Lebanon, Leitchfield, Lexington-Fayette, London, Louisville, Ludlow, Lyndon, Madisonville, Marion, Mayfield, Maysville, Middlesborough, Middletown, Monticello, Morehead, Morganfield, Mount Sterling, Mount Washington, Murray, Newport, Nicholasville, Oak Grove, Owensboro, Paducah, Paintsville, Paris, Park Hills, Pikeville, Prestonsburg, Princeton, Prospect, Providence, Radcliff, Richmond, Russell, Russellville, Scottsville, Shelbyville, Shepherdsville, Shively, Simpsonville, Somerset, Southgate, Springfield, St. Matthews, Stanford, Stanton, Taylor Mill, Union, Versailles, Villa Hills, Vine Grove, Walton, West Liberty, Wilder, Williamsburg, Williamstown, Wilmore, Winchester and all other cities in KY - The Bluegrass State.